Here at Furniture & Design we often find that our clients are looking for something that "just works". Invariably they are drawn to minimalist styling, but also need the full functionality and quality that can only be realised in a bespoke handmade kitchen. 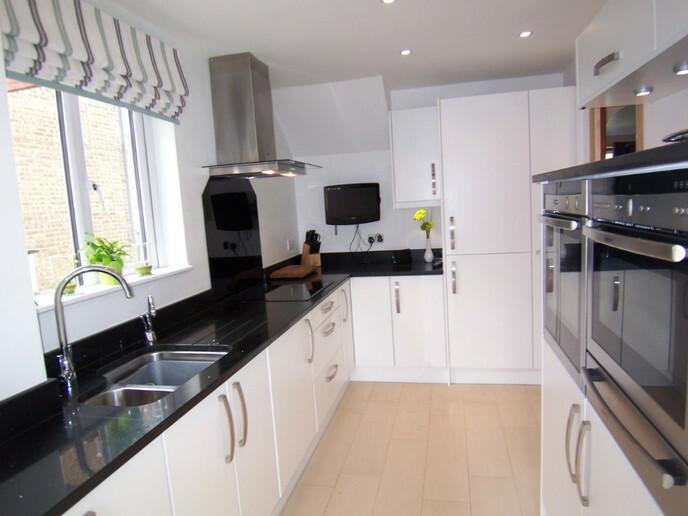 We cover every step in the process of creating your dream kitchen, from the original concept designs through to fitting and finishing, along with supply and installation of appliances to match both your kitchen and your requirements. Stunningly stylish, yet robust and practical, we can design a kitchen that will reflect your personal taste as well as fulfil the needs of your daily activity, complementing your living space perfectly.